Cars are more than simple means of transportation as they can add value and improve one’s social status. Unfortunately, properly looking after a car is both time-consuming and expensive, especially if you want to maintain the car’s value in time. From special paints to wheels and customized interiors, you can turn your car into a true piece of art with the right tools and car accessories. Below you’ll find a list of the most useful car decorations and accessories you can purchase, and that will undoubtedly improve your driving and the whole experience behind the wheel. This product is indispensable nowadays. 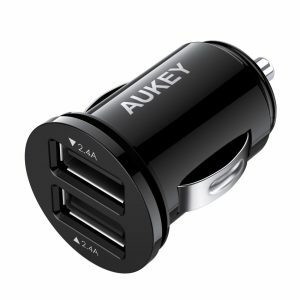 The product is very compact and will not occupy too much space in your car but will help you charge your favorite tech pieces as fast as possible. It is compatible with all USB-powered devices and can be used to charge your smartphone, tablet or other tech devices. The item features two powerful USB charging ports so you can use them to charge two different devices simultaneously. The built-in safeguards will protect against overcharging, overheating, and excessive current. It is perfect for both Samsung and Apple products, including iPhones, iPads or Samsung Galaxy smartphones. This set of blind spot mirrors will improve your driving techniques and will help you see any obstacles with a clear vision. Each mirror measures 2 inches in width and can be used on cars, vans, and RVs. They provide a wide angle of view and are 360-degree adjustable, allowing you to correctly see the road and the back of your vehicle from all angles. The mirrors are easy to install thanks to the pressure-sensitive tape. Both mirrors are convex, which makes the objects look far, crisp, and small. Most of the customers who ordered the set were pleased with its quality, claiming the mirrors are made of sturdy, durable, and reliable materials. This complete set of car products and accessories will help you quickly clean and maintain your vehicle. It includes 12 different premium-quality cleaning products that will keep your car shiny and protected on the inside and the outside. The set comes with a Gold Class Car Wash, a Carnauba Plus liquid wax, an endurance tire gel, as well as with other cleaning accessories that will help you finish your tasks faster. The interior detailer cleaner can be used on almost all interior surfaces of the car, providing a thick foam that will deeply clean the tapestry and the seats, providing a fresh, clean smell at the same time. This complete first aid kit includes no less than 120 medical grade products and has been upgraded for 2019. They are delivered in a flexible yet durable and compact bag weighing just 1.2 pounds. The first aid kit can be kept anywhere you want – in your car, in your office, in your house or when you’re camping. It is FDA approved and includes only high-quality medical supplies. Inside you will find products like alcohol prep pads, bandages (small, medium, and big), cotton tips, knuckle bandages, butterfly bandages, antiseptic cleaning wipes, first aid tape, a compass, an emergency blanket, metal tweezers, sewing kits, and others. If you’re looking to create a colorful atmosphere inside your car, you will need this great interior lighting kit. The easy setup doesn’t take more than 5 minutes by using the right equipment and adapters. The lights can be wirelessly activated and will deliver a full spectrum of colors. You will also have access to advanced dimming controls so you can adjust the intensity, brightness, and color of the lights. The kit features an exclusive bass-activated technology that allows your lights to flash to the beat of the music you play inside your car. This product allows you to conveniently and securely attach your smartphone or tablet to any flat surface. It is the perfect accessory for your car, kitchen, bedroom or office and will keep your phone safe and ready to use at any time. The item is compatible with most smartphones, including iPhones and products from Samsung, LG, HTC, Nexus, Nokia, Sony Xperia, and others. The sleek and slim design won’t occupy too much space and will perfectly match the rest of your car or house decor. When mounted inside the vehicle, it won’t block the air vents. The cover comes in six different colors so you can choose the one that best fits your requirements or desires. It is made of high-quality materials and will fit most cars, including Audi, BMW, Chevrolet, Honda, Fiat, Ford, Kia, Land Rover, Lexus or Mercedes. However, keep in mind that the product is not compatible with certain car models so it would be best to check online for more information. The durable yet soft microfiber leather will provide increased comfort for your palms and hands when driving. It will absorb moisture and won’t allow your hands to sweat either. This portable cordless power inflator for tires is a great invention for all drivers. Thanks to this hustle-free device, you’ll be able to inflate your tires again easily and be ready to go in just a matter of minutes. It is very convenient to use and, thanks to the lightweight design, it can fit anywhere. It only weighs 1.5 pounds, so it’s also easy to handle. Since there is no cord involved, you can virtually use it in any space you want, including the tight ones like corners. Although this item is not as strong as a compressor, it is still powerful enough to inflate numerous small objects. If you’re tired of constantly cleaning and vacuuming your car interior after every rain or dusty day, this set of rubber floor mats is what you need. The product is delivered in seven different color combos and is made of high-quality rubber. The tall outer ridges will prevent fluids from leaking into the carpets and causing more mess. The mats are waterproof and stain-resistant and can be used in all weather conditions, including during the rainy season or when it’s muddy outside. The mats feature an adhesive part on the back to stick to the car floors. A dashboard camera has become a necessity nowadays, especially with so many accidents happening on the road. This particular item is full HD and features a 3-inch LCD screen and a 170 degrees wide angle for improved recording. The 12MP camera resolution allows you to see images and footage clearly and can be used for insurance claims or in case of accidents. The built-in G-sensor will automatically detect a sudden collision to prevent footage from being overwritten. This way, the accident scenes will remain intact. The camera also comes with improved night vision and integrated WDR technology that will provide clear footage even during the night. For the most of us, cars are simple commodities that make it easier to go from one place to another. However, we all have that friend who clearly has a passion for any type of four wheel vehicle, and that could spend hours talking about car features and cool accessories. No matter how difficult it might sometimes be to listen to stories about the latest car models, nothing beats the grim process of finding a car-related gift for that friend’s birthday. Because many of us don’t speak the complicated language used by car enthusiasts, knowing what to choose is not that easy of a task. To make things even more difficult, when it comes to car paraphernalia, the internet is filled with different types of accessories and equipment that could easily be called awesome gifts for car lovers. Given the situation sometimes one finds himself/herself in the position of just not knowing what to buy. If you are in this situation, do not feel discouraged, we are here to help you out. To make it easier for you, we have compiled a short but comprehensive buying guide that contains just what you need to know before making up your mind and placing that order So, go ahead and read our suggestions regarding cool gifts for car lovers! First things first, before making your budget and starting to explore the many options that the Internet has to offer, it would be a great idea for you to spend a couple of minutes and think about other passions, hobbies, and interests of the person you are shopping for. Moreover, as any best car gifts reviews are prone to point out, you should always keep in mind that offering a gift is an intimate way of showing your consideration to that certain person. So, if by any chance he/she recently mentioned that she needed something related to his/her car, this could be the right moment to buy it as a way of letting them know that you pay attention. Driving is not always the most comfortable activity. We all know how uncomfortable we sometimes feel when we have to drive back home after a complicated day at the office. As a solution to this, a good way to make coming home a more enjoyable ride for the car enthusiast is to buy him/her the neatest vibration massage seat cushion for sale. This gift is especially great for people that have demanding jobs that make them quite tense. 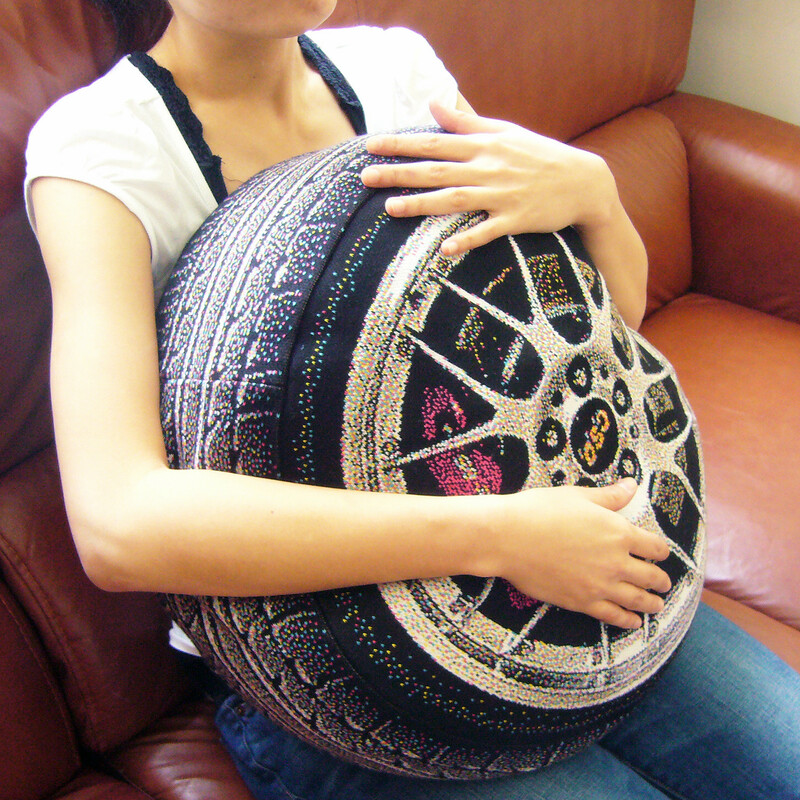 One of the coolest gifts for a car lover, a seat cushion that can massage one’s back might just as well be the device that could offer him/her the much-needed break after a stressing day at work. What could be nicer than to drive home while getting a relaxing back massage? One aspect that all best car gifts reviews section is prone to point out is the fact that car lovers enjoy spending time and effort personalizing their vehicle. So, if by any chance your car enthusiast friend has an eye for stylish things, a set of universal leather car seat covers might be just the perfect present. Not only luxurious but also practical, this kind of seats ensure protection against dirt and stains. As a result, your friend will be able to ride in great style without worrying about passengers spilling drinks on the seats. Similarly, you could opt for some nice all season rubber floor mat, as this will be another highly appreciated addition to his/her car. Alternatively, another interesting present is a pack of car mount accessories. Equipped with these, your car loving friend will be able to fit his/her car with a handful of accessories without having to worry about mounting them in the right place. When considering cool gifts for car lovers, one aspect that should definitely be on your mind is practicality. Liking a present is one thing but being able to use it in a constructive way is an entirely different thing. Thus, why don’t you consider buying your car enthusiast friend a feasible present? One example of such a gift is a dash cam that has night vision. This device is a great present for any driver, as it is an easy and practical way of recording one’s rides in case of accidents. Moreover, settling for such a gift is a nice way of expressing your concern and love towards the person to whom you are gifting this device. Other car gadgets that are likely to be appreciated by people who enjoy driving are GPS navigation systems, especially for those friends who like to travel a lot or/and those who are always late because they took a wrong turn. Anyhow, if your friend is more or less obsessed with keeping his/her precious car clean at all costs, you could give him/her a car garbage can. This way, next time when somebody has liter that needs throwing away, you won’t have to stop the car next to the closest trash can. Likewise, foodies will always appreciate a personal fridge/warmer that can be used to store snacks in no matter the season. Thus, settling for either of these means settling for the coolest gift for a car lover. When considering what present to buy for a car lover, you should always base your options on the age of that person. Although you should stay away from any mentality that is prone to quickly label people as old or young, it is clearly obvious that some gifts are suitable for a younger generation while others are better fitted for seniors. With this criterion in mind, it becomes evident that a sound system will always be more appreciated by young people, while a set of tool utensils might be better suited for more mature drivers. However, if you want something that works for both age groups, you should search for reliable mobile phone car mounts for sale. 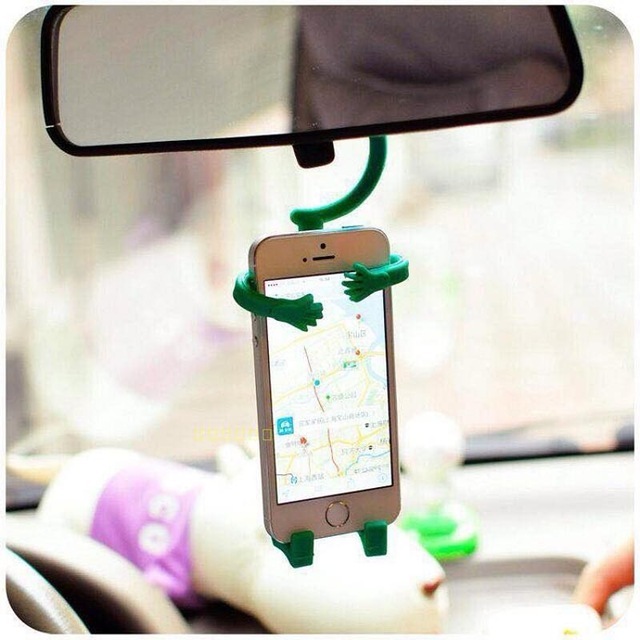 Because it is able to keep one’s phone safe and sturdy while driving, this gadget is likely to be appreciated by all drivers, no matter the age.